The Cycladic Islands of Greece played a central role in Aegean prehistory, and many new discoveries have been made in recent years at sites ranging in date from the Mesolithic period to the end of the Bronze Age. In the well-illustrated chapters of this book, based on the recent conference held at the McDonald Institute for Archaeological Research in Cambridge, international scholars including leading Greek archaeologists offer new information about recent developments, many arising from hitherto unpublished excavations. The book contains novel theoretical insights into the workings of culture process in the prehistoric cultures of the islands. 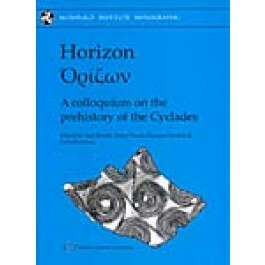 It will be an indispensable resource for students and scholars interested in the prehistory of the Aegean and in the contributions made to its development by the prehistoric inhabitants of the Cyclades.